Atlanta, Georgia is a city with many entertainment options for Christians and gospel music fans. Atlanta is home to several venues for those seeking a nightclub experience without compromising Christian beliefs in a no alcohol, smoking and sexual carousing environment. These clubs adhere to the belief that a good time can be had while staying true those Christian values. The Saintuary was created as a way for Christians to experience a nightclub atmosphere without compromising their beliefs. Due to the high cost of operating a nightclub, The Saintuary now acts as a mobile nightclub of sorts by using different venues to host Christian DJs and musicians. Club Jubilee is an up-and-coming venue that has hosted a range of local gospel performers such as the all-female group V3 and Alana Sanders. The club's parent company is Ephraim Productions. Club Jubliee has hosted the National Black Arts Festival, Atlantis Music Conference and the McDonalds "The Gift" Gospel Gift Competition. 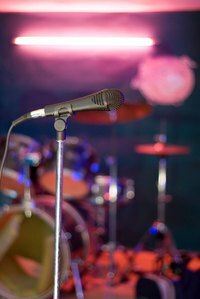 The C-Room Gospel Cafe is a venue that hosts Christian comedians, musical artists, spoken word and a live house band every Friday night. The C-Room strives to provide an uncompromising atmosphere where people can socialize, network and enjoy live entertainment in a Christian way. The C-Room is open to everyone over the age of 18 and conservative dress is preferred.